No races to speak of this month. It has been heads down training. I started off the month experimenting with a new pair of shoes. This didn’t go according to plan. Lesson learned. It is not wise to mess with your shoes in the peak of marathon training. Luckily this did not result in injury so I was able to continue as scheduled for the rest of the month. Although this month was very tiring I did enjoy the training. The two 20 mile runs that I did felt good and didn’t leave me feeling tired or achy. 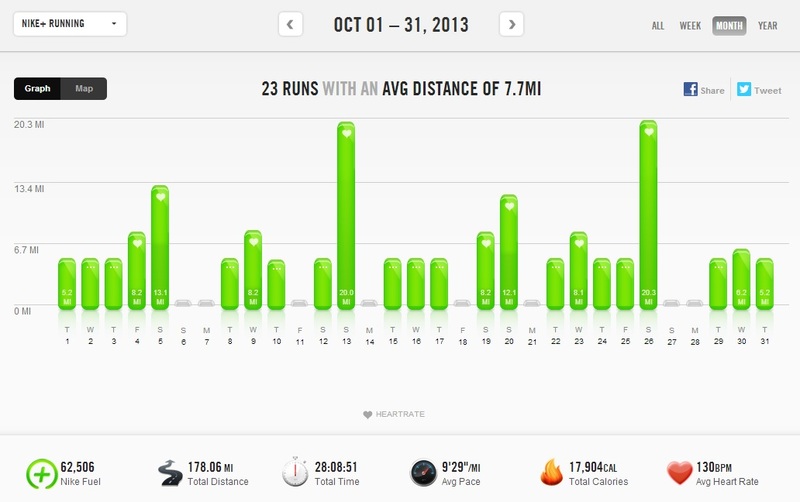 In fact this month I reveled in the long runs. These were my chance to get out and be alone with my thoughts as I approach marathon day so I focused on my technique and strategized about my fueling, clothing and practiced some mental games to get me through the many hours out there. The carrot at the end of the stick for me was the taper time before the marathon. The last three weeks in the training plan where the mileage reduces closer to race weekend. This year I actually have a couple of races scheduled in the weekends before (Ben Franklin Bridge 10K and the Trenton Half Marathon). I have never scheduled other races so close to a marathon before but it has me looking forward to things and diverts me from the ‘taper madness’. The weather played a big factor this month as it started to get cold and I had to break out the winter gear. My last 20 miler was in temperatures in the low 30s. On the plus side, the pumpkin spice coffee has become my reward after the long runs so that has been nice. My focus has been on my upcoming events which are fast approaching. I am very excited for running the Philadelphia Marathon with my wife. She has been training well and although we have not been able to do our long runs together as we juggle family time it has been great having someone to cheer along with and encourage. We are both looking out for each other and planning our races together. I’m also at the stage where I am looking forward to next year’s schedule. I am looking for a Spring and Fall marathon to set my sights on for next year. I don’t want to travel too far from home (something driveable) so I have a number of contenders for the Spring so far (Delaware Marathon, Pittsburgh Marathon, NJ Marathon, Poconos Marathon) which are all around the same date. For the Fall I am considering one of the big ones, perhaps New York (if it is not too prohibitively expensive) and Marine Corps (which is also going to be a lottery from next year). Again, there is always Philadelphia (my ‘go to’ marathon). Lots to look forward to. November is a big month. 4 races including the Philadelphia Marathon. 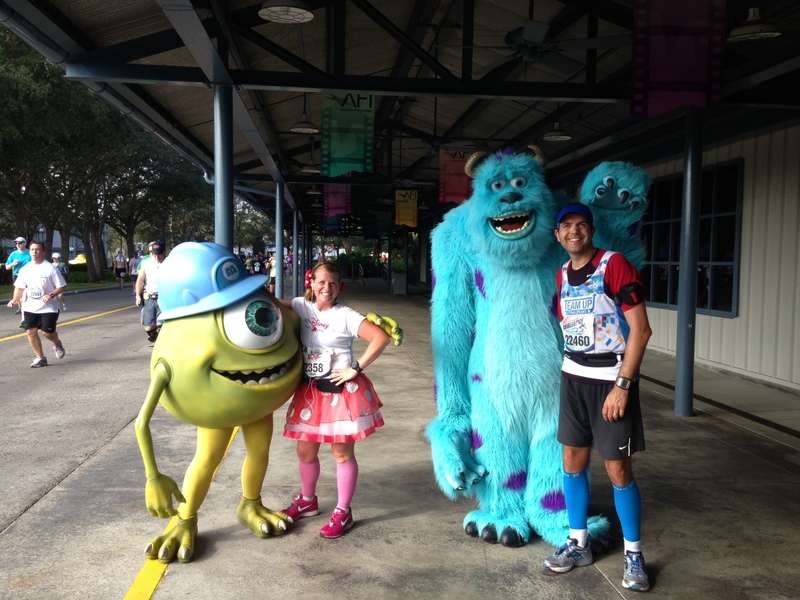 Then only a few more weeks until I start my preparations for Walt Disney World Marathon weekend in January. There are less than 70 days to go now to Marathon weekend. 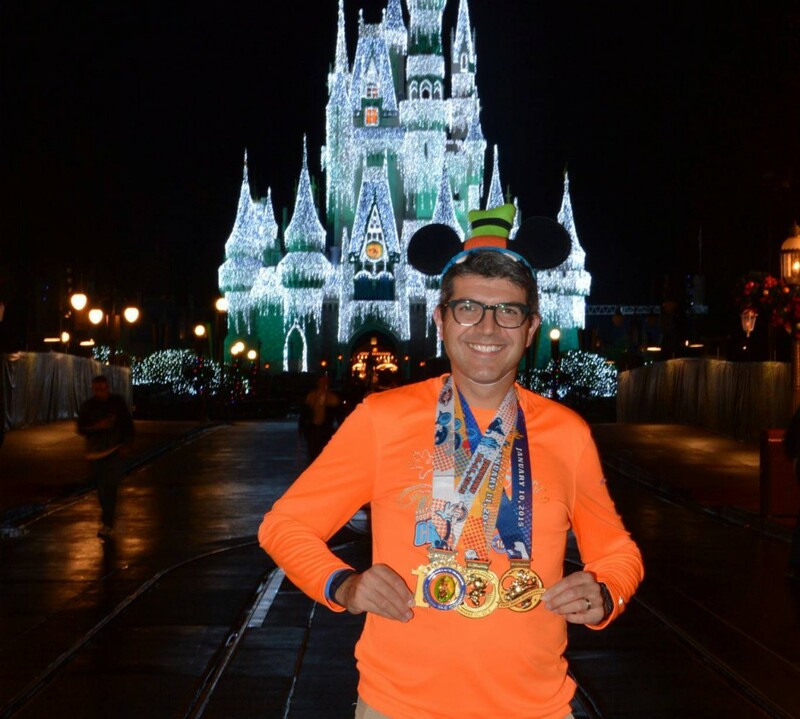 I am looking forward to running in January in the first official Dopey Challenge. The good news is that I made my fund-raising goal to be able to run the event with Team Up for Autism Speaks. If you are interested in learning more about Team Up and the events they have for 2013 and 2014, please head over to my page on their site and go from there. Week 15 is now over. This included the last long run of the training program (20 miles). Saturday – I was up at 3:30am to head out for my 20 miler (in nice 31 degree weather). I ran with enough time to get home to enjoy an ice bath before we had to all be out the house by 9am for the boys activities. After that we took the boys to the Kid’s Castle in Doylestown, PA for a mid-afternoon event and the over to Sesame Place for a Pass Member party which ran until 8pm. A long day for sure. Sunday – My wife was up at 5:45am for her run. My boys actually let me sleep in until 7.25am (what a luxury on a weekend…they are never up that early on a school day). 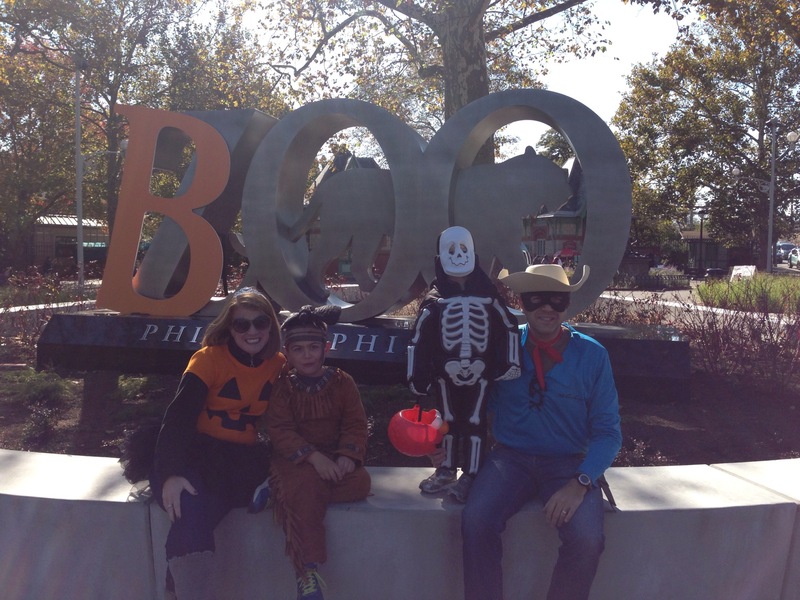 Once the second ice bath of the weekend had been taken (luckily not mine this time) we headed downtown to the Philadelphia Zoo for their Boo at the Zoo event. A busy weekend (of many). Both my wife and I feel good and accomplished our goals this weekend. The boys seemed to have a blast and no one complained about being tired (although the boys fell asleep in the car…it’s as if they were worn out or something). Now the taper begins. I’m looking forward to it actually. 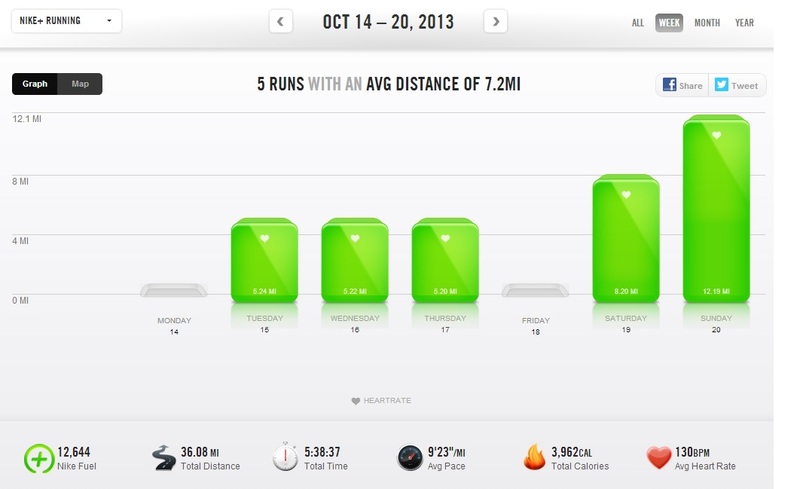 I know my mileage will be decreasing but I plan to maintain the schedule of 5 days running in the week. I actually set out my gym clothes for some cross training tomorrow. I will be up early to do 30 minutes on the stationary bike to keep myself loose going into the week. Ok…there is another reason I will be cross training and that might be my need to earn a few extra calories in the bank before our trip to Hershey Park next weekeend (planning ahead). This year during the taper I actually have 2 races planned. 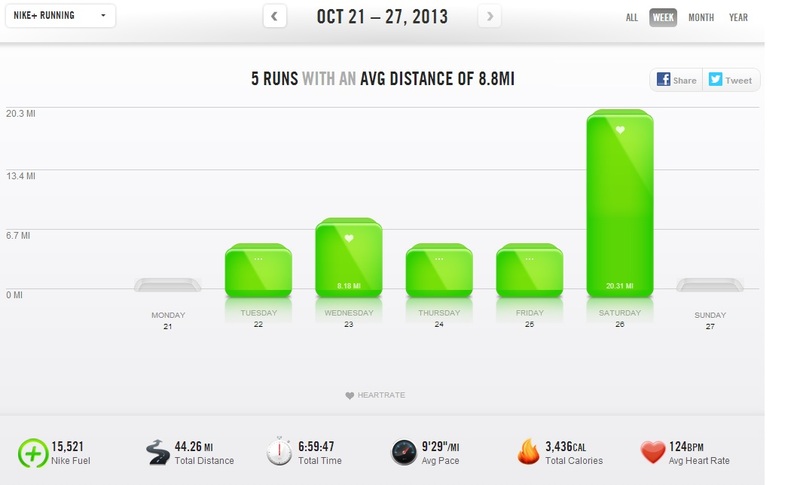 I have never done that before but the mileage doesn’t seem to impact my taper much. I have a 10K next week (after whatever I eat at Hershey…it’s all good carbs) and then a half marathon the week before the marathon. I will be running this nice and easy with my wife as we focus on form not pace in our final semi-long run before Philadelphia. The half marathon is on a Saturday so I will figure a couple of extra rest days going into the final week of training for the marathon. This week the biggest change for me was the weather. I had to get all my winter gear out to use. My last three runs this week (Thursday, Friday and Saturday) saw me running in tights, a jacket and a beanie with progressively warmer gloves on each run (I still have the mittens for the really cold days). Fall is definitely here. I may have to say “so long” to the shorts for a while. That being said, the skies have been clear and the moon has lit my way (as well as the headlamp) during these last few runs. It has been refreshing. This weekend was also spent cheering on my friends (via Facebook) running the Marine Corps Marathon. Next week is the New York City Marathon and I will be cheering everyone on knowing well that my turn is coming up a couple of weeks beyond that. I’m already looking forward to putting my 2014 schedule together for a couple of marathons in the Spring and the Fall. I have a little time and a couple of marathons to get through first. Week 14. A mixed bag. This was a step back week for me as my long run was only 12 miles. The actual running seemed to go quite well this week including a nice relaxed tempo run on Wednesday which felt good picking up the pace. Both weekend runs felt good. Sunday’s run was accompanied by a beautiful clear sky and full moon which lit up the way. My morning runs are all around 5.30am so I am out and back before the sun rises. This also means I need to start getting to bed a little earlier. I haven’t been doing a great job of the early nights these and this week despite the lower mileage it all caught up with me. This affected me in a couple of ways. The morning runs went fine as I said. It seems that I get my morning run in before more mind and body realize what I am actually doing. Later in the day I start feeling pretty fatigued. Not that my body is aching or craving rest it’s just a general feeling of being tired. One thing that was noticeable (and this may well be a factor of the long daily commute and the hours sitting in front of a computer screen) is that my vision was getting a little blurred. 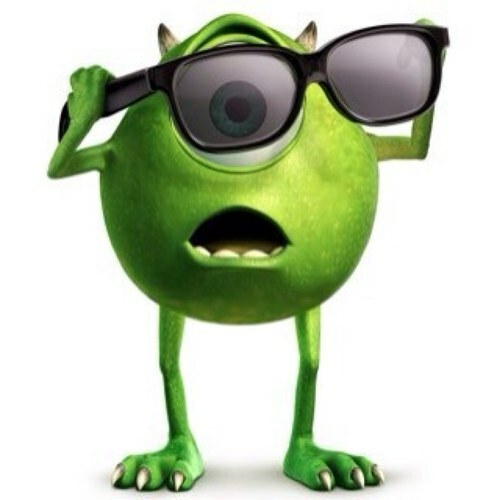 I only see out of one eye (my ‘supportive’ Wife calls me ‘Mike Wazowski’) so I was a little concerned and that actually took me to the ophthalmologist for a checkup. 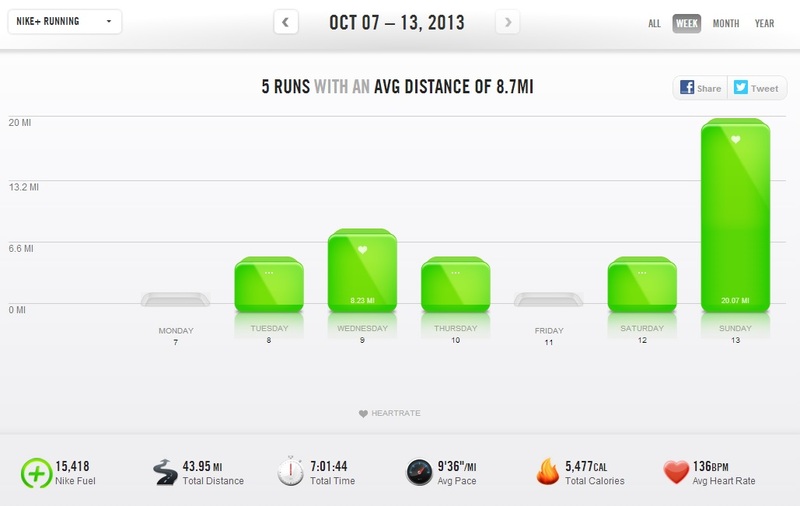 The other thing that was noticeable this week was as my mileage was lower, my appetite was not. Often during training for my previous marathons I have gotten to the point that I was craving food (or fuel as we marathoners like to call it/kid ourselves). Last week I feel like my body was expecting another serious mileage week and was just craving food. Now, I am very careful (or try to be) about what I eat. I record my food every day in the LoseIt! app on my iPhone not to lose weight but to maintain. Last week I went through the craving week and although I didn’t eat badly I just overate a little every day. Not that the scale showed any difference but this may have added a little to the feeling of tiredness through the week. With less than 4 weeks to go now week 15 is going to be the peak week of training. The last 20 miler is coming up at the weekend and the taper is now in sight. I just need to make sure that I am resting well as this week will demand lots from my body and that I take advantage of some downtime and watch the diet. All seems to be going well otherwise. Week 13 is now complete. 5 weeks to go. Only one more 20 mile run to go in a couple of weeks and then the taper begins. The race is now in sight. This week’s training went well. No ill effects or major fatigue. Yesterday’s 5 miler was a nice tempo run at a good pace. I hope I can sustain that for the upcoming Benjamin Franklin Bridge 10K run in 3 weeks time. That would be great. Today’s 20 miler went well. I felt a little tired around mile 14 but got my second wind (or maybe that was the caffiene laced energy gel) and the last 3 miles felt great. My time was nothing spectacular but this was not designed to be a pace run just an endurance run. I came back and soaked in an ice bath (actually a bath filled with water from the cold tap only) for about 15 minutes or so to reduce any inflammation and then hopped into a nice hot shower. All being said I had run 20 miles was showered and ready for the day just after 9am today. Not bad. In our house we are juggling two people training for a marathon at the same time. I started my long run today at 5am so I could be home in time for my Wife to get out and run her 18 mile run and not have our whole day disrupted. Mission accomplished. My Wife and I ran 38 miles combined today and were back at Sesame Place for their Halloween Spooktakular in the early afternoon. 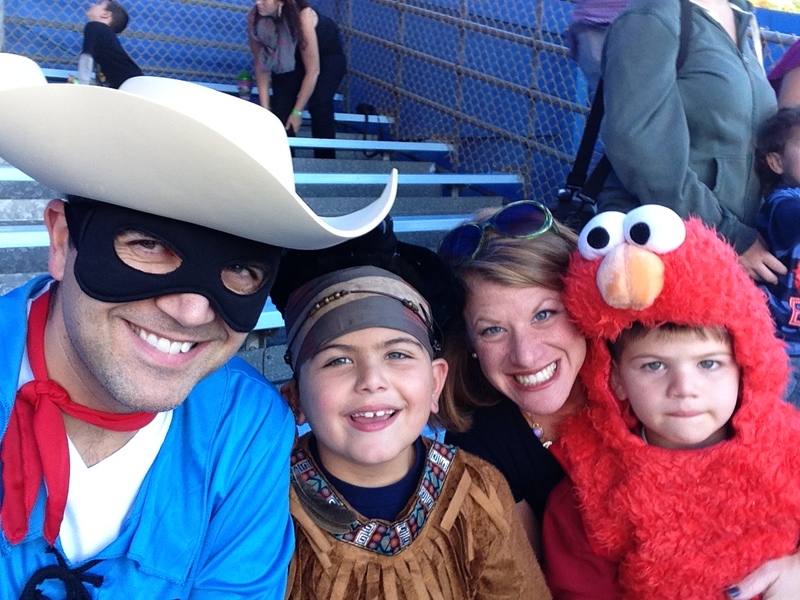 Actually this was our second visit of the weekend…in costume. It seems many of my friends were running in marathons this weekend (Baltimore, Atlantic City, Hartford and Chicago) and/or will be running in the next few weeks (Marine Corps and New York). It’s getting to the exciting part of the marathon season when all the big races are being run. I have to wait patiently a week or two longer until Philly. It was really great following everyones posts and see their pictures on Facebook this weekend and I am really happy for all their successes. Fall is definitely here now. I actually had to head indoors for a treadmill run this week. It was my first treadmill run since early August. I’ve been pretty lucky weather wise. Now I’m running through fallen leaves and routes lined with scarecrows and the temperatures are getting cooler. Good for running in the mornings but sooner than later it will change to the colder side. I remember last year at Philly it started around 40 degrees and I wore my gloves all 26.2 miles. I’m ready for it. I’ve got enough gear. 13 weeks until the Dopey Challenge. An exciting few weeks ahead and I’m full of anticipation for some fun times. I’ll be running Trenton and Philly with my Wife. It’s great to be able to share this with her. Week 12 down. 6 more weeks to go. Now we are in October so I can really say the Marathon is next month. As usual it seems I skipped the cross training on Monday. Let’s face it, I’m tired from the long runs and I don’t think I have done the Monday cross training since the early weeks of the plan. I guess it doesn’t hurt to have an extra rest day at this stage. As my Wife was away this weekend (she ran the Long Island Diva’s Half Marathon with her sister) I had to squeeze my long run into early Saturday morning. This week then was 5 days straight of running. Luckily it was a step back week. 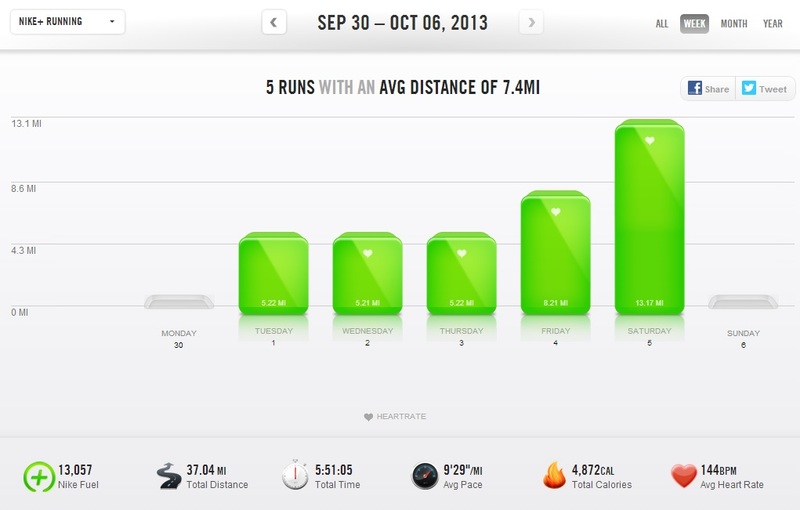 Total mileage this week was 36 vs. last weeks 47 so that helped. I know it sounds silly to look at it like this when in January I will be running 48.6 in 4 days (yes, its Dopey). This week I did something really stupid..you can read about it here. Luckily for me I didn’t injure myself. That would have been upsetting after all this training and it would have been my fault. I know not to do anything silly from now on. I want to be healthy enough to keep doing this for a while. The training itself this week felt fine (apart from the Wednesday run) and on the long run this week when I should have been slowest of all my runs I kind of turned up the heat. Not exactly my marathon pace but quicker than I should have. Given the hills where I run it felt great especially after worrying about the right foot for a couple of days. Week 13 is the first of the 20 milers on the plan (although I did 20 last week). Then a step back, then the final 20 miler and then the taper. We are getting close to the race date. 5 more Sundays before the big one. 14 weeks until the Dopey Challenge. It’s getting real. I’m getting excited. Back in 2011 as I was training for my first marathon I was having persistent knee issues and the end result was 6 weeks of visits to a physical therapist. At the suggestion of the therapist treating me I went to a running store (Roadrunner Sports in North Brunswick, NJ) and had myself properly fitted into a pair of shoes. Don’t get me wrong, I bought my first real pair of running shoes from a specialist store but this entailed the salesman asking just a few questions and having me run around the shoe department but at the time I was not exactly knowledgable on the subject and I didn’t ask the right questions. I was fitted for a stability shoe (which is correct) but it was not the right size (too small) and didn’t offer the level of control that I needed. One of the consequences of the physical therapy was that it strengthened my knee and they worked on showing me how to change my gait appropriately to avoid the significant pronation I was running with. Essentially I rolled my right foot so far in that I was pushing off more on the ankle than the foot. Ouch. So I was fitted with a pair of Brooks Adrenaline GTS shoes. This is actually Brooks’ best selling shoe. GTS is the acronym for ‘Go To Shoe’. I have been running in them ever since. I keep two pairs in rotation (I rotate every run) and probably get through about 5 pairs a year (350-450 miles per pair depending on the wear). Additionally I added a supportive guidance insole to the shoe which I subsequently have purchased a new set with every new pair of shoes. A couple of years ago Brooks brought out a new line of shoes which were more lightweight but not completely minimalist. These were part of the Pure Project. One of those shoes provided a level of stability. This shoe was the PureCadence. I was intrigued but a little weary of trying due to my comfort in the Adrenalines. 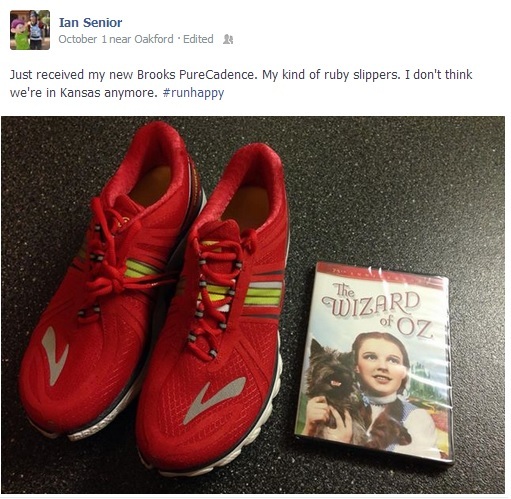 Now, I’m not exactly the fashionista but Brooks Adrenalines don’t exactly look flashy nor come in wild colors. Okay, so you are thinking that is not the most important thing. To be honest it isn’t but it didn’t stop me looking at other brands and shoe reviews from time to time. After completing my second marathon in January 2012 I went back to Roadrunner and asked them to reanalyse my running gait. It had been six months since they fitted me and I had worked hard on maintaining the running gait I had adapted to during the physical therapy. I was pleased to see in the analysis that I had improved the gait and the pronation was less severe. 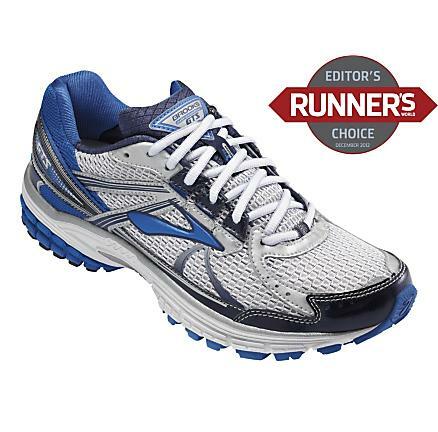 They recommended at the time that I could move to a motion control shoe rather than stability shoe and so I purchased the Brooks Ravenna (it had the same fit as the Adrenalines). I took them home and did a 5 mile run the next day. Immediately could feel my knee hurting during the run. After the run I decided that I would take the shoes back and returned to my Adrenalines. You can tell quickly if a shoe is right or wrong for you. After this year’s Goofy Challenge I was due to replace another pair of shoes and decided to have my running reanalysed to see if there was any progression in my running style and needs. I tried 5 different brands of stability shoes from all the major manufacturers, Nike, Mizuno, Asics and New Balance. They were all comparable to the Brooks Adrenalines but at the end of the day I went with a new pair of Adrenalines. So, why am I writing this post? Well back last month at the Philadelphia Rock ‘n’ Roll Half Marathon expo where Brooks is the major sponsor I decided to get them to analyse my running gait as they were offering this service to runners. I did my treadmill run which they recorded and advised them of my weekly distance and running preferences (road with a little trail) and they came up with a list of suggested shoes in the stability category. The Brooks Adrenaline, the Brooks Trance and the Brooks PureCadence. The shoes arrived on Tuesday and I decided to wear them on my 5 miler on Wednesday morning. I was excited to give them a try as you can see from my Facebook post the night before. Well, it didn’t turn out as good as I had expected. 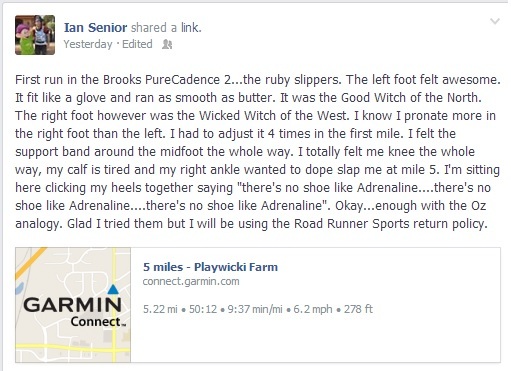 Here is my Facebook post after the run. Although the left shoe felt great, the right shoe where I pronate more was causing me problems. I noticed the distinct lack of cushioning as I pummelled my foot during my run. After the run my right ankle and calf pretty much wanted to disown me. I wore a compression sleeve on my right leg all of Wednesday and it wasn’t until late afternoon that my foot began to feel normal again. I was off my feet at my desk most of the day. I was lucky after all the work training for the upcoming Philadephia Marathon that I hadn’t caused myself an injury. Another saying comes to mind. “Curiousity killed the cat”. Today I woke up and put my Adrenalines on for an easy 5 mile run. I was concerned of any after affects from yesterday but I am pleased to say that all went well.